The UCBerkeley Media Technology Summit at the Googleplex in Silicon Valley is being live-blogged now in the window below, thanks to participant Chuck Peters, the tech-savvy chief executive of the Gazette Co. in Cedar Rapids, IA. The summit, which will run through mid-day Thursday, is intended to provide more than 100 invited leaders from media and technology companies with new insights into the technologies, consumer behavior and economic models that will affect their businesses at a time of momentous change. Live blogging starts about 8:30a PDT. A detailed schedule of conference events is here. Bios of the speakers are here. The live-blogging cadre recruited by Peters includes Mary Lou Fulton, formerly of the Bakersfield Californian but now working at the California Endowment, Mike Orren of Pegasus News and John Temple, the former publisher of the Rocky Mountain News. We will tell folks at the conference how to participate, so others are bound to join in. If for some reason the embed below fails, you also can access the live blogging here. Working closely with with Dean Neil Henry and Assistant Dean Gina Rieger, I helped organize the summit for the Graduate School of Journalism at the University of California at Berkeley. The Koret Foundation, Google and the McCormick Foundation are generously sponsoring the event. Leaders are scheduled to attend from such traditional media companies as Advance Publications, Associated Press, BusinessWeek, Cable News Network, Comcast, Community Newspaper Holdings, Emmis Broadcasting, E.W. Scripps, Fox Television Networks, Hearst Corp., Lee Enterprises, McClatchy Co., MediaNews Group, National Public Radio, News Corp., New York Times Co., Schibsted, Thomson Reuters, Times Publishing Co., Tribune Co., U.S. News and World Report, Village Voice Media, Wired Magazine and Yahoo. Next-generation media organizations registered include the Center for Investigative Reporting, Chi-Town Daily News, Everyblock.Com, Google News, Internet Archive, MinnPost, New America Media, PaidContent.Org, Pegasus News, Salon Media Group, San Diego News Network, Texas Tribune, True/Slant and West Seattle Blog. From the technology world, the scheduled speakers include corporate vice presidents from Google, Microsoft and Yahoo, as well as leaders from such leading start-up companies as Truviso and YuMe. Also planning to appear are experts from the worlds of advertising (Starcom MediaVest) and finance (Austin Ventures and Piper Jaffray). Cutting-edge market research will be presented by professors from Berkeley, Harvard and MIT. Representatives of non-profits plan to attend from the McCormick Foundation and Pew Charitable Trusts. The founder of the Chi-Town Daily News, a pioneering grassroots journalism project, happened to phone last week shortly before word got out that a wealthy businessman had donated $5 million to launch a major non-profit news venture in San Francisco. Dougherty would have been even more discouraged if he had known Warren Hellman was about to announce a $5 million donation to provide the seed financing for a new non-profit organization to help fill the void created by the incredibly shrinking news coverage at the financially strapped dailies in Northern California. Though Dougherty may have been on the right side of history, his timing unfortunately was off. Like a number of others across the country, he began trying to develop a new model to support public-interest journalism before the kinds of folks who could have written million-dollar checks came to recognize the crisis in coverage caused in the last few years by the retrenchment of the traditional local press. The fight to save public affairs reporting likely is moving to a whole new level that will be characterized by more financial firepower, more professionalism and more civic muscle than ever before. This will accelerate the development of new media models and hearten those who care about quality journalism. It also undoubtedly will lead to any number of intriguing and unanticipated outcomes for both non-profit news start-ups and the incumbent media organizations with whom they will compete. The move of non-profit journalism into the ranks of major-league philanthropy is illustrated not only in the Hellman gift in San Francisco. It also is reflected in the $3.5 million raised in a matter of months for the Texas Tribune, a soon-to-be-launched statewide online news site, and the $14 million raised by Pro Publica, the national non-profit investigative reporting venture founded in 2007. Organizers and executives at each of these ventures say they are aiming to become self-sustaining civic institutions that are as visible and enduring as the private universities, museums and performing-arts organizations that historically have been built and supported by contributions from foundations, corporations and wealthy individuals. The emerging shift in the nature of journalism start-ups appears to be taking place because a growing number of philanthropists and civic leaders are waking up to the danger posed to their communities and our democracy by the breakdown of the newspaper business, which has been ravaged by a host of structural changes and the general inability of publishers and editors to react creatively to them. Excesses, errors and lapses aside, newspapers for generations did nearly as much good for the public as they did for the fortunate few who owned them. Because newspapers deployed the largest news-gathering staffs in each of the markets they served, they were, in the best cases, the eyes and ears and consciences of their communities. But those vital functions are faltering, as publishers continue nibbling away at their ever-shrinking news coverage in the hopes of preserving an anachronistic and rapidly deteriorating business model. In response, a growing number of dismayed civic leaders seem to be concluding they can’t count on their local newspapers to provide the diligence and leadership they had in the past. So, the leaders are beginning to turn their wealth, connections and energy to exploring new ways to support public-interest journalism. One of the ways they are doing this is by generously underwriting the sort of innovative, non-profit ventures that previously were started on a shoestring by well-intentioned, but typically underfunded, idealists and entrepreneurs. 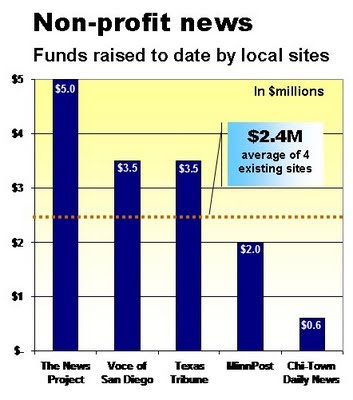 An example of the new approach to non-profit journalism is the Texas Tribune,which plans to launch shortly to fill what organizers say is a gap in in-depth reporting in the Lone Star State. As reported here in July, Austin venture capitalist John Thornton put up $1 million of his own money to start the Texas Tribune and then began working his considerable base of business and social contacts to assemble solid funding for the project in the neighborhood of $4 milion to $5 million. Thornton anticipates that it will take “three to four years” to bring the Trib to the point it can wean itself away from charitable funding by generating $2 million in annual revenues through donations, subscriptions and sponsorships to support a staff of 15 journalists. Thornton’s approach – or something similar it – almost certainly will be replicated in a bigger way in San Francisco, where Warren Hellman, one of the most respected and prominent business leaders in the community, will leverage his stature to gather additional support for his ambitious non-profit news venture. To ensure the success of his project, Hellman already has enlisted as partners KQED, the largest public broadcaster in Northern California, and the Graduate School of Journalism at the University of California at Berkeley. For good measure, Hellman said he is well along in discussions to have the New York Times carry the reports that will be produced by the nascent news project. It’s far too early to know how the San Francisco project will shape up. But you can get a sense of the possibilities by comparing the scale of grassroots non-profits with their bigger, institutional counterparts. That’s what we’ll do in the next installment. In a captivating and inspiring new book, John Maxwell Hamilton, a former foreign correspondent who now is dean of the Manship School of Mass Communications at Louisiana State University, gives a great deal of credit to the Chicago Daily News for pioneering foreign news coverage among American newspapers. While no newspaper accounts all by itself for modern journalism, none has a greater claim than the Daily News, founded in 1875. 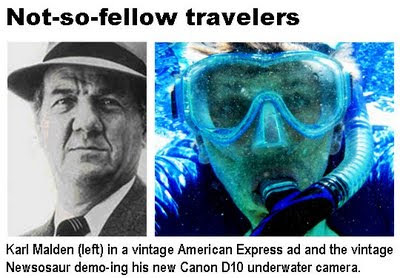 The guiding genius was its proprietor, Victor Lawson. Adorned in a black frock coat, top hat, and Prince Albert beard, Lawson was a tough businessman, sharp about collecting what was owed him, creative in gimmicks that promoted sales, and high-mindedness. He rejected advertisements that promised more than they delivered and filled his newspaper with news that was both entertaining and uplifting. His newsroom was filled with many of the country’s best journalists. Legendary Daily News editor Henry Justin Smith saw “the newspaper as a daily novel written by a score of Balzacs,” said reporter Ben Hecht. The Daily News, as one historian has noted, was the first newspaper “to articulate a vision of public community.” By 1916, Daily News circulation reached 400,000, or 100,000 more than any other American daily. When Adolph Ochs had wanted to establish his credentials in order to buy the faltering New York Times in 1896, he sought a recommendation from Lawson and later kept a picture of the Chicago newsman in his office. While “Queer Springs” did not last long, the experimentation continued. In 1911 the home office asked for a weekly summary of the best jokes from the European press, a challenge for the Paris bureau since the funniest humor there was too risqué for the Chicago reader. For years the Daily News printed the names of visiting Chicagoans who signed the guest book in overseas bureaus. As a cost-savings at one point, correspondents were commanded to cease using the word “stop” in cables, a decision that led to endless mix-ups. Though the banner story might be on sports, however, the first inside page was filled every day with foreign news, some of it highly specialized. This continued after Lawson died in 1925. Daily News series in 1928 and 1929 included William Stoneman on Schlesweg, Carroll Binder on the Calabria region of Italy, and John W. White on the reasons for South American ill will toward the United States. When the first Pulitzer Prize was given in the category of “correspondence” in 1929, the recipient was Paul Scott Mowrer, who became editor of the newspaper in the 1930s. His brother, Edgar, won the prize a couple of years later for his reporting for the Daily News from Germany. At the high point, more than 100 North American newspapers subscribed to its foreign service. Will Irwin singled out the Daily News in a 1911 Collier’s article on the state of journalism. “Even should it change hands, should a get-rich-quick policy destroy its character, the ‘News’ would go on paying for a generation by power of its old honesty,” he wrote. And it did, first under Walter Strong (a relative of Lawson’s wife), then under Colonel Frank Knox, and next under John Knight. Each time it sold for a record price. And sure enough, the momentum eventually did peter out. In the Daily News’ heyday, homebound commuters boarded a train or bus with the newspaper tucked under their arms. With the post-war rise of sprawling suburbs, more and more readers drove their own cars to work. They listened to their radio on the road and watched television in their living rooms. Getting newspapers to inner city projects was perilous; getting them to the suburbs on time was increasingly difficult because of the distances involved and congested expressways. The morning papers were delivered when most motorists were in bed. By 1977, the four remaining Daily News correspondents had been recalled. Only once did the last foreign editor get permission to send a stringer on an assignment. The next year, on the same day that a Daily News reporter won the prestigious William Allen White Award for editorial writing, Marshall Field, the last owner, stood on a city room desk and announced the end of the paper. ViewPass was proposed as a publisher-financed and -owned solution to monetize interactive audiences by encouraging registration across a broad variety of websites to gather an unprecedented level of accurate demographic and contextual readership data which would be used to auction advertising inventory at premium prices. It was conceived to harness the most significant asset that publishers have – their aggregated audience of some 3.5 billion page views a month – to maximize the revenue they can earn online. Where warranted, ViewPass also would enable micropayments, subscriptions and all sorts of other ways to charge for content, though it is questionable whether pay walls can succeed. Apparently half of newspaper publishers, as reported here, have the same concern. When my business partner Ridgely C. Evers and I visited with senior newspaper executives over the summer, a number of them expressed great enthusiasm for ViewPass. While several top newspaper executives said they would be happy to join the network, none of them to date has stepped forward to offer the financial support necessary to build and deploy the system. Absent support from the industry, of course, there is no way to build an industry-owned solution. As I write this, representatives of most newspaper companies are meeting at the American Press Institute today – the latest in a series of such meetings that began in April – to discuss what to do about paid content. If they come to the conclusion that they want us to build ViewPass, we will. If they don't, we won't. They have to want it as much as we do. Arguably, even more. A bare 51% of the newspaper publishers in the United States believe they can charge successfully for access to their interactive content, according to a survey released today. The other 49% of publishers either fear that pay walls will fail or just aren’t sure. The survey, which was conducted for the latest in the series of industry conferences this year studyng how to monetize the valuable content most newspapers give away for free, shows that publishers who are worried about charging for content have good reason to be concerned. These findings – and the others summarized below – are contained in an exhaustive survey by industry consultants Greg Harmon and Greg Swanson. They were hired by the American Press Institute to conduct the research for an invitation-only meeting of about three dozen industry executives being held today at a hotel in suburban Washington, DC. The research consisted of two parts. One part was a poll sent to a selection of newspaper publishers, which was completed voluntarily by 118 papers of all sizes in all parts of the country, according to Harmon. The sentiments of more than 4,000 consumers were captured separately in online surveys at several participating papers. While the success of launching a pay solution would seem to require a fairly broad and concerted approach among not only newspapers but also other news outlets, the survey shows little common ground among even newspapers as to how to proceed. Although 58% of publishers said they are studying the idea of charging for content, fully 49% of newspapers reported that they have no timetable in mind for when or how they might do it. Only 10% of the respondents said they now charge for any portion of their web content. Among the papers inclined to charge in the future, their initatives are anything but synchronized. Ten percent of papers said they are charging now, 12% say they plan to do so by the end of the year, 18% say they will do it in the first quarter of 2010, 10% say they will start charging by the end of next June and 2% said they would do something next summer or later. :: 38% predict their papers will tease articles on a free home page but limit access to the full stories to people who buy a monthly subscription. :: 28% think their papers will offer both monthly subscriptions and paid access to individual articles (the latter being known as micropayments). :: 15% expect their papers will offer a combination of monthly subscriptions, imcropayments and all-you-can-read day passes. :: 19% believe general news will be free but that their publications will charge for specially produced premium content. :: 12% suggest their sites will offer free access to content during a session of limited duration but then require payment from readers when the free session expires. :: 9% foresee the adoption of a pay-as-you-go system, where the visitor cannot buy a subscription or day pass but must pay for access to each individual story she wants to consume. 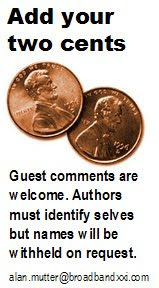 In another dimension of the survey, Harmon and Swanson found a sharp disparity between the stated concerns of publishers over content piracy and their lack of attention to the issue. While 85% of publishers said they are concerned about online publishers who use their copyrighted content without permission, only 25% said they were engaged in some sort of “active tracking” to combat copyright scofflaws. The gap between aspiration and action may close after the Associated Press launches the new digital content-monitoring system scheduled for release in November. While I defend the right of the Associated Press to distribute the controversial picture of a mortally wounded Marine in Afghanistan, I can’t support its decision to do so. The controversy came to light over the Labor Day weekend when Defense Secretary Robert Gates begged the AP to honor the request of the family of Lance Cpl. Joshua Bernard not to run a photo of the young man taken in the moments after he was shot in combat on Aug. 14. But the AP ran the photo, anyway. While it was well within its rights to do so, was the need to publish the picture so compelling as to knowingly compound a family’s grief? The AP reports that it waited until after Bernard was buried on Aug 24 to show the picture to the Marine’s grieving family members, saying the agency planned to put the photo on the wire along with a story about the ambush in which he died. The family immediately objected to the publication of the picture and asked Gates to urge the AP not to do so. After some internal soul-searching, the AP decided to publish the photo on Sept. 4 because “we believe this image is part of the history of this war,” said AP senior managing editor John Daniszewski. “The story and photos are in themselves a respectful treatment and recognition of sacrifice." A respectful treatment? Arguably. A recognition of sacrifice? Perhaps. But historic? No. And that’s why I question the decision to run the photo. Had the picture not generated this bit of controversy, it would have been little noted and soon forgotten, because its news value was modest. Distressing as the subject is, it unfortunately is just another of thousands of pictures of death and destruction in the long, depressing blur of images produced over eight, long years of war in the Middle East. With solemn respect to the tragic sacrifice of this young American, this wasn’t a dramatic news photo like Jack Ruby shooting Lee Harvey Oswald, a game-changing image like the pictures from Abu Gharib prison or an instant icon on the order of the naked girl running down a road after a napalm attack in Vietnam. The Bernard photo was another picture of another senseless death in a string of thousands of senseless deaths. It was not particularly newsworthy, because it neither altered the well-established narrative of the conflict nor added anything appreciably new to its bloody history. While it would it would be fully appropriate to publish the picture as breaking news or in the absence of an objection from the family, there is not sufficient journalistic value in this image to justify the pain its publication evidently has caused. Knowing well in advance of publication of the family’s objections to the picture, the AP would have been within the bounds of responsible and, yes, compassionate journalism to not publish it. The AP acted sensibly and sensitively when it informed the family about the picture and the story well before they were scheduled to be published. The otherwise commendable process broke down when the AP disregarded the family’s objections. It didn’t have to end that way. Plenty of stories, pictures, sound bites and video don’t make the news every day, because editors find them to be disruptive, distasteful or otherwise offensive to common decency. Unnecessaily adding to the grief of a military family suffering a fresh loss is an offense against common sense, if not common decency. Publishing this photo was a judgment call – the kind of decision that reporters, photographers and editors make every minute of every day. And judgment means weighing not only the quality of a story or an image but also its impact. Although I cherish the principle of an unfettered press that can publish freely without fear or favor, there was nothing in the public interest that demanded the publication of this picture. The money-losing Sun-Times Media Group can be turned into a modestly profitable business by the end of 2011, says the chief executive who took the company into bankruptcy court and plans to stick around to lead it back into the black. “The days of a newspaper company running 20% to 35% margins are over and they will not return,” said Chairman Jeremy Halbreich, who joined the Sun-Times Group early this year, promptly filed for Chapter 11 bankruptcy protection and then launched the search for a buyer with the guts and financial firepower to try to save the scrappy Chicago tabloid. Having found a purchaser in the form of financier James C. Tyree and a group of still-unidentified private Chicago-area investors, Halbreich believes the Sun-Times Group has the capability by the end of 2011 to generate the 5% to 7% operating margins associated with a “typical industrial and manufacturing business,” he said in a telephone interview. Although Halbreich declined to spell out the financial projections underlying his optimism, he said he expects the company will stop burning cash by the end of this year, thanks to past and future operating efficiencies that he already has identified. “Most of 2010 will be flat to down,” he said, adding that the company will not experience anything “along the lines” of the enormous operating losses it has suffered in recent years. The Sun-Times Group, whose shares trade for less than a penny apiece on the Pink Sheets and whose market capitalization dropped 20% to $671.585 Wednesday on news of the pending sale, stopped reporting its financial performance to the Securities and Exchange Commission as of Dec. 31, 2008. But its sales at the end of 2008 had fallen to $323.8 million from $418.7 million as recently as 2006. Worse, the company’s pre-tax loss of $381.3 million in 2008 surpassed its revenue. The company had a mere $19.3 million in the bank at the end of July after losing $3.8 million in the month. With the pending sale of the company requiring bankruptcy court approval, it may not be until the end of this month before the new owners take control, leaving the company close to running out of working cash. But Halbreich, who expects to remain as the chief executive of the company for the new owners, says Tyree’s group has committed to making an eight-figure investment in the company to cover near-term operating losses and to fund a number of initiatives to bring new efficiencies to the business. “As arguably brilliant as the powers here were 8 to 10 years ago when they put together the collection of our dozens of suburban newspapers, they literally did not do the job of consolidating the properties and taking advantages of the obvious synergies,” said Halbreich. Until the company this year took steps to consolidate most printing operations at a single plant south of the city’s Loop, the company divided production for its 58 suburban papers among a several separate plants. “Although we just announced the closing of the Northfield printing plant (in the city’s North Shore suburbs), we will not start getting the benefit of those savings for three months,” said Halbreich. Other elements of Halbreich’s turnaround plan include the increase earlier this year of the price of a single copy of the Sun-Times to 75 cents, a plan to permanently implement the “temporary” 15% pay cut that union employees accepted during the hunt for a new buyer, a plan to save newsprint costs by slimming down the size of newspaper pages and a plan to modernize the company’s outmoded editorial-production systems. On the revenue side, Halbreich said he and his management avoided making “sanguine” assumptions about future growth. “Ours is not a situation where revenues turn up with new ownership,” he said, adding that several prospective purchasers complimented him on the conservatism of his revenue forecast. Halbreich took exception to my assertion in prior posts that the flagship Sun-Times probably was losing advertising market share as the result of the weak economy. Although the No. 2 newspaper in a city typically loses more ad share than the dominant paper in a down economy, Halbreich that has not been the case at the Sun-Times. One measure of Halbreich’s confidence in his turnaround plan is that he said he will be shopping for a permanent residence in Chicago if the company successfully exits bankruptcy and is taken over by the Tyree group. A former top executive of the Dallas Morning News, he has been commuting from Texas and living in a Chicago hotel since being appointed interim CEO of the company in February. When he is not busy touring condos, though, Halbreich vows to “look under every rock and stone” to find what it takes to make the Sun-Times succeed. Sam Zell may (or may not) be headed for the exit as head of the Tribune Co., where he personally lost $325 million as the result of his recklessly financed acquisition of the company. But it looks like he is going to be all right. The man who proudly characterizes himself as a “grave dancer” specializing in the acquisition and turnaround of troubled businesses is organizing a $625 million fund to invest in distressed commercial real estate, according to Bloomberg News. If there is a growth field anywhere in this wobbly economy, it has to be commercial real estate, where untold billions of over-leveraged deals are about to crater amid plunging real estate values and soaring vacancy rates. Zell built his fortune over the years on trafficking in just these sorts of properties, so this is a natural fit for his skill set. In addition to this prior experience, Zell will bring to his new venture the additional insight gained in creating a significant distressed asset of his own. That, of course, would be the Tribune Co., which Zell saddled with some $12 billion in debt in a failed employee stock ownership plan that landed in bankruptcy court before the deal was a year old. Though Zell may come out unscathed, you can’t say the same for some 20,000 current and involuntarily former fellow owners at Tribune. They would up being dragged to a dance where no one had a ball.